Scorpio is complicated. Sunshine mixed with a little hurricane. 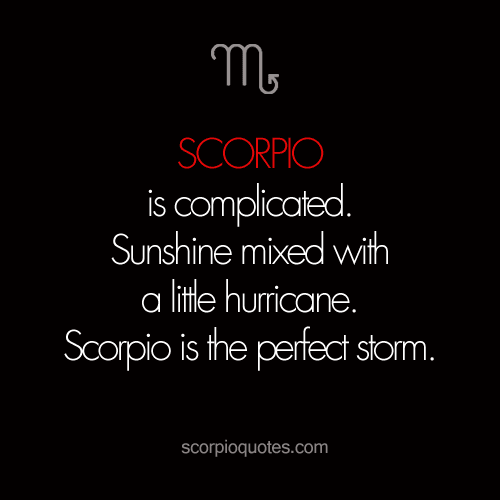 Scorpio is the perfect storm.